I had a thought. 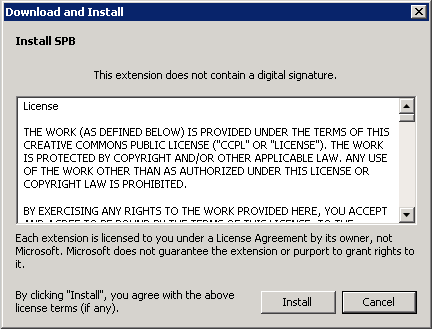 Normally, when I edit a master page and add/modify I want to do it quickly in SPD 2010. 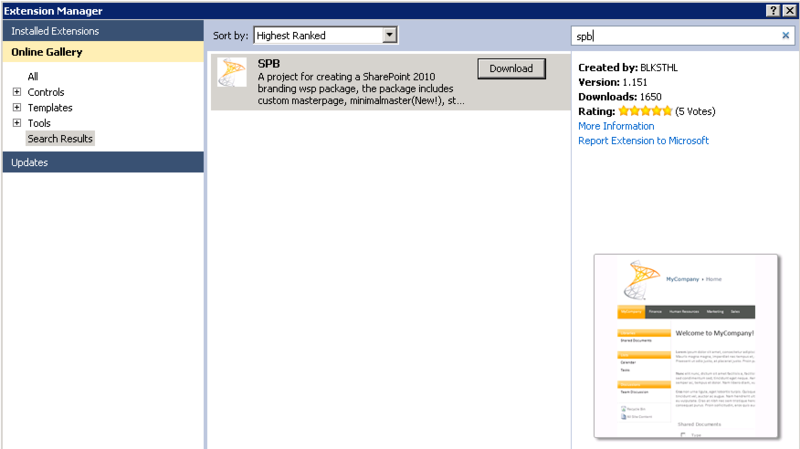 I guess I could still do that with the branding project master page and when I am happy export to the VS2010 project. 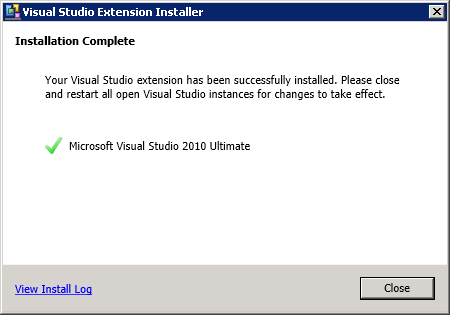 I do have VS2010 Pro and SP2010 running locally in my vm though. I am Interesting to hear your thoughts. Absolutely, you can do that. 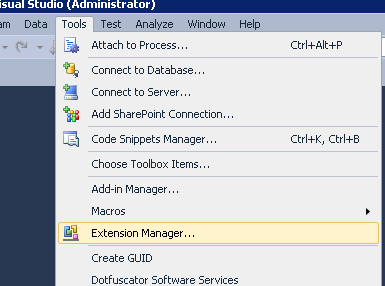 Use SDP as an ‘editor’ to get the masterpage just right and then add it to the Project for ‘proper’ deployment. Sounds like a good idea, that way you don’t have to deploy, deploy, deploy to test every change in a testsite but you get the benefit of the SPD’s WYSIWYG design view. Thanks for the confirmation. 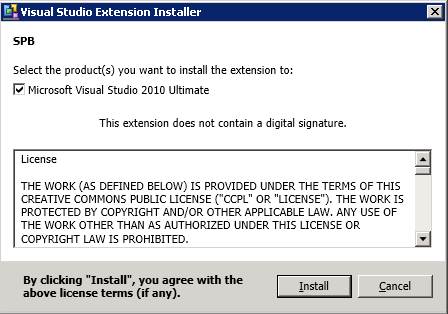 Slightly off topic for my next deployment I want to add a ref to jQuery to the master page. Nomally I use the ‘traditional syntax’ but I thought I would try the more portable script link – just wondered if you had tried this. Not tried it but I would appreciate it if you could post your feedback after you tried it? The Branding package will be perfect for packaging and deploying the java files as well so that could be an addon for the future. Don’t know yet how this will look in 2013 with the new branding concept there, but I assume that there will still be a need for better Tools.. 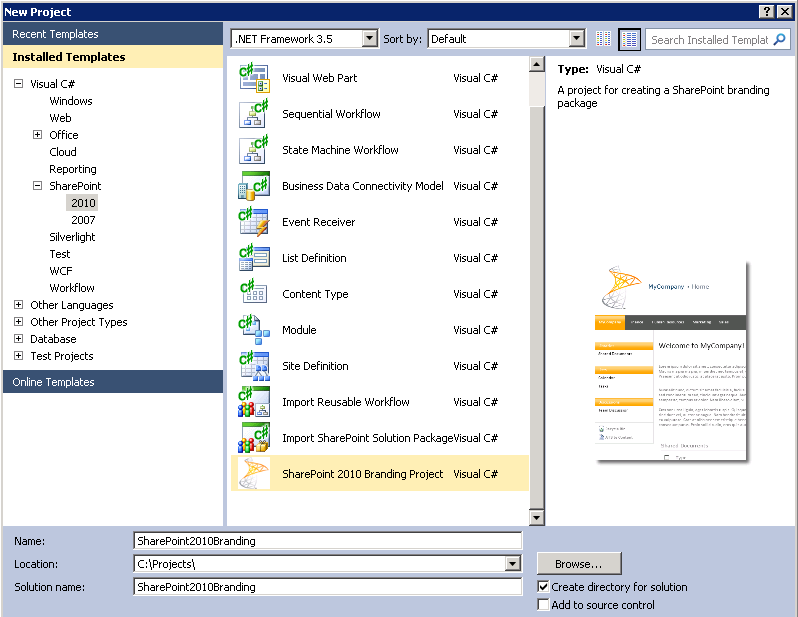 It works baecause sharepoint renders scriptlink with a "document.write" call with the syntax. Be warned: THE ABOVE SYNTAX HAS TO BE PRECISE OTHERWISE YOU GET ODD ERRORS IN YOUR BROWSER. Is there a VS 2012 or VS 2013 version of this project? Same as a projecttemplate for 2013…and SPO.